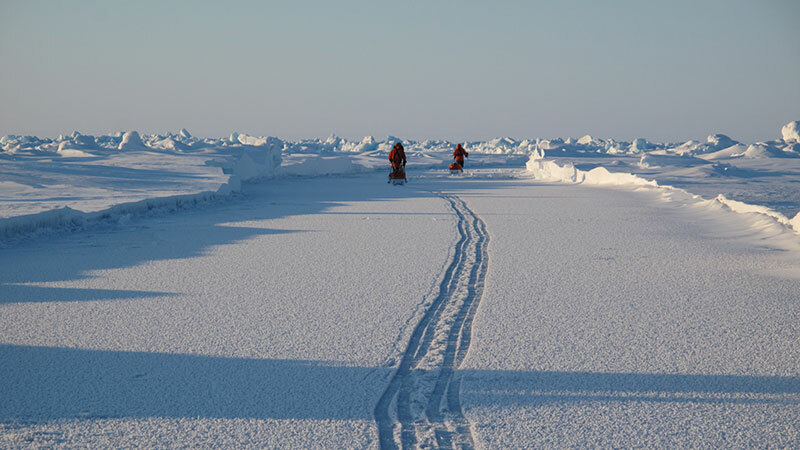 We plan on running a Last Degree North Pole Ski expedition in the 2019 season. Contact us for details on joining the trip. Our small team of guides brings significant polar expedition skills from past South Pole, North Pole, and Greenland expeditions. Want to learn more about skiing the Last Degree to the North Pole, with the premier polar guides? Contact us today and we will give you all the info you need. 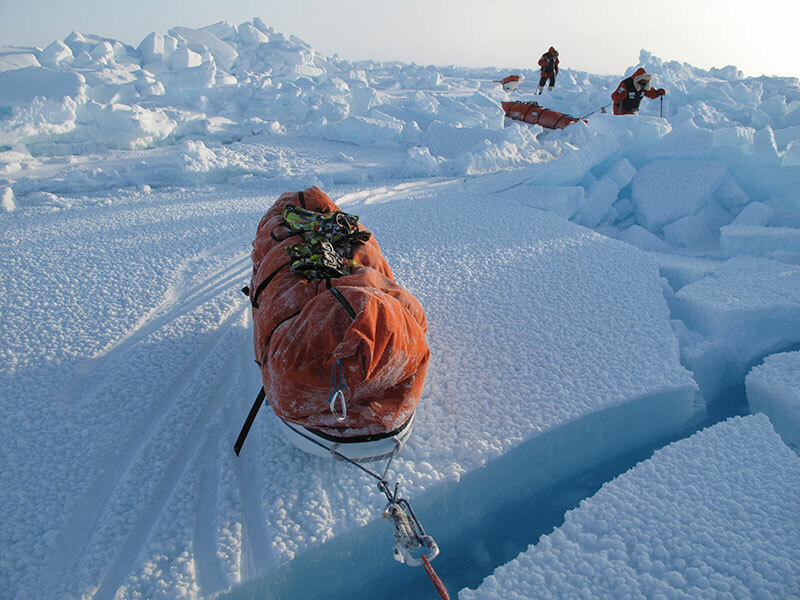 The North Pole last degree ski trip is a truly amazing expedition experience. We are offering a unique opportunity to join our guided expedition to ski the last 60 nautical miles to the Geographic North Pole. Mountain Professionals is well positioned to offer top-notch polar expeditions. Our staff includes polar adventurers with in-depth artic ocean experience including multiple North Pole full ski expeditions and even world records. With a small team of fellow adventurers, you will ski across the shifting sea ice and cross open water leads of the Arctic Ocean. Team members will learn and refine the necessary skills and techniques required to travel safely and comfortably in one of the most beautiful and remote environments on the planet. The group will meet in Longyearben, Svalbard. The plan is to meet on day 1 of the expedition and settle in to our comfortable guest house in this fascinating little town. We will take 2 days to complete a gear check and a thorough training program on the surrounding landscape. We feel that preparation is incredibly important in the arctic environment, so we take great care to organize and discuss all the details of travel. These first days are well spent, acclimatizing to the arctic cold and humidity before flying further north to the Ice Camp at Barneo. Our plan will be to fly via helicopter, as soon as possible from Barneo to approximately 89 degree north latitude or 60 nautical miles away from the geographic pole. 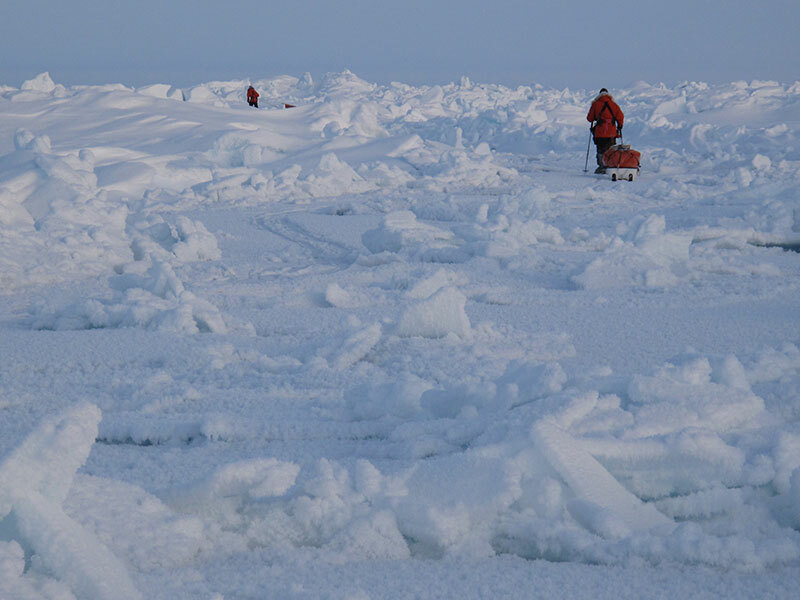 Once we reach the ice we will ski and travel over this incredible and challenging terrain for approximately 7 days to reach the North Pole. We will spend the last night camping on the slowly drifting ice at the pole and await our helicopter return flight to Barneo. A celebration awaits us in the relative comforts of Barneo! From here we pack our things and then catch a flight back to Longyearben. This expedition will be managed and guided by polar explorer Eric Larsen in addition to our other highly qualified polar staff who will guide as well. Eric was elected as one of Outside Magazine’s Eco All Stars in 2008. 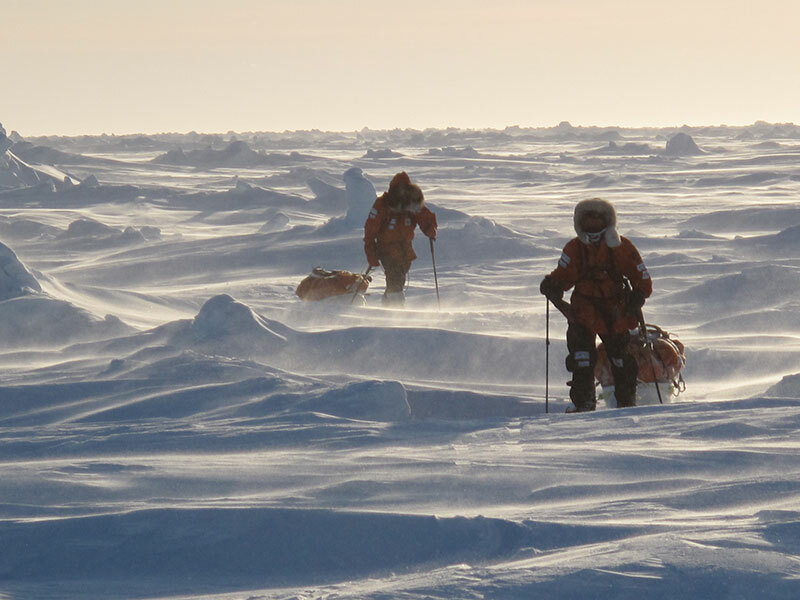 In 2006, Eric completed the first ever summer finish expedition to the North Pole. He successfully led his first expedition to the South Pole in 2008. In November 2009, Eric returned to Antarctica for the first leg of his world record Save the Poles expedition attempting to become the first person to reach “all 3 poles in a single year”. This time he completed a 750-mile ski traverse to the geographic South Pole then two short months later he was at the northern Ellesmere Island for a North Pole expedition. His international team reached the North Pole 51 days later on Earth Day April 22, 2010. Eric and Mountain Professionals Director Ryan Waters completed a full length unsupported North Pole Expedition from Cape Discovery in 2014. We will have a comprehensive logistics and safety network to support our journey, but it is very important that participants should be prepared for a demanding trip. Depending on the group’s abilities and snow and ice conditions, this trip will take around 7 days to cover the distance to the pole. We will encounter extreme cold and participants will be required to help in all aspects of travel and camp set up. Each individual will need to pull a 40 kg. sled across frozen and rugged ice surface for a full day. It is highly recommended that participants have prior experience in cold weather environments and we can discuss each persons background on an individual basis. Please feel free to contact us and we would be more than happy to talk about the trip. Mountain Professionals does offer a highly recommended 1-week polar training course in January each year. Flights Longyearben to Barneo and helicopter to 89 degrees / return to Longyearbyen. All transportation, according to the program. Personal specialized gear – sleds. Personal allowance of 30 kg. baggage on flight to/from Barneo. All meals according to the program after leaving Longyearbyen. Group equipment, tents, stoves, safety, etc. Navigation equipment, compasses, GPS, maps. Group insurance and emergency permits. International Airfare to and from Longyearbyen, Svalbard. Food, beverages, while in Longyearbyen. Cancellation, Medical, and travel insurance (which you must provide yourself).